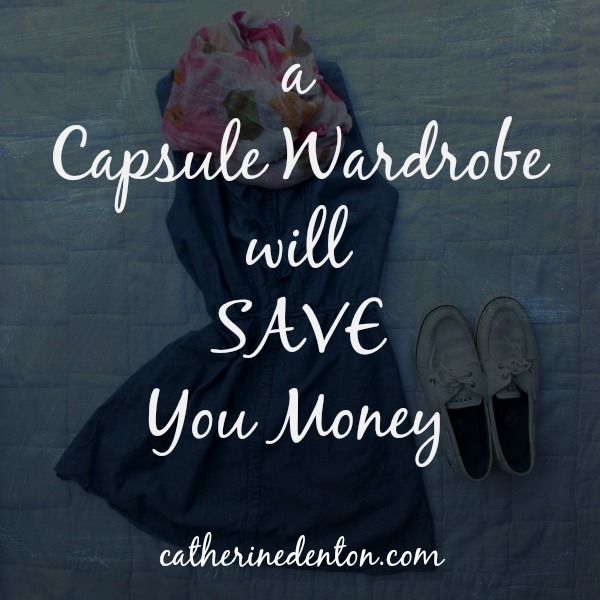 A capsule wardrobe will save you money! When you love everything in your wardrobe, when you are able to pull together beautiful outfits quickly and you know everything fits nicely; you have no need to buy more stuff! Back BC (before capsule), I couldn't keep track of what items I owned. They were wedged in the closet and sometimes I would purchase the same thing twice, not realizing I already had something similiar. My closet was full of clothes, but I always felt I had nothing to wear. So I would buy more things, hoping they would create more combinations from my closet. The problem was that I had no plan, and when you have no plan, your budget suffers. Feeling overwhelmed I decided to reduce my wardrobe and experiment by creating a capsule wardrobe. I was brutal in my cast-off decisions. I gave away anything that did not compliment my style, my body or my skin tone. After taking many large trash bags of clothes to Goodwill, I became extremely picky about what else I brought into my closet. Because of the effort I'd put into eliminating the baggy, tight, pulling, painful clothes and keeping only the ones that felt/looked great; I did not want to go back to a stuffed closet. So I made a rule that if I brought something new in, I had to get rid of something old. My wardrobe was finally full of pieces I loved, so I found myself not wanting to buy more clothes because I didn't want to get rid of the pieces I loved! Now when I go shopping I'm extremely choosy. The item has to be a great fit and I must love it. Even then, if I can't think of an something in my closet I want to exchange for this, I don't buy it. I buy clothes only when something has worn out or for some reason doesn't fit any longer. Since I'm wearing fewer clothes more often, I do eventually need to purchase something new. But I can purchase it with a good conscience, knowing there is a need, not just a whim. I can budget for needs ~ not whims. This has greatly reduced my impulsive shopping. When I shop, I know what I'm looking for, what color it needs to be and what style I need to add to my wardrobe. I can budget for it and keep it within the right range. Doing this has saved me a lot of money over the last few years. I encourage you to experiment with a capsule wardrobe and see how it can save you money too! If you are wearing a capsule wardrobe, how have you noticed it saving you money? If you're aren't currently wearing a capsule wardrobe, does it sound intriguing?